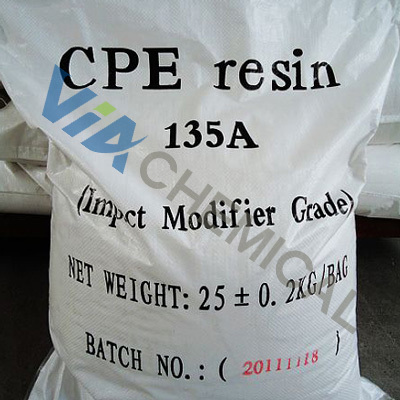 VIA Chemical provides various kinds of CPVC resin with different molecular weights, polymerization degree, and chlorine content, and meets most manufacturing requirements for pipes, fittings, plates, and other structural materials in terms of vacating temperature, corrosion resistance, and flame retardation. 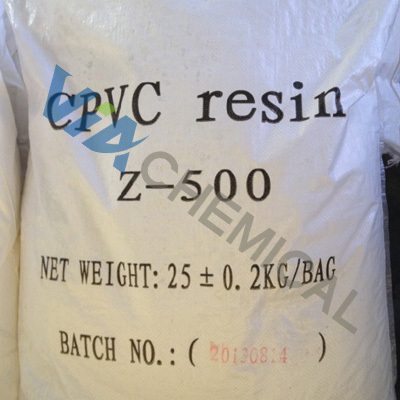 We produce customized CPVC resin according to the customers’ requirements. Vicat softening point (VST) is approximately 40 °C higher than that of PVC. 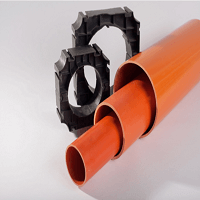 CPVC is among the polymers that can be used in high temperature and pressure for extended periods of time. 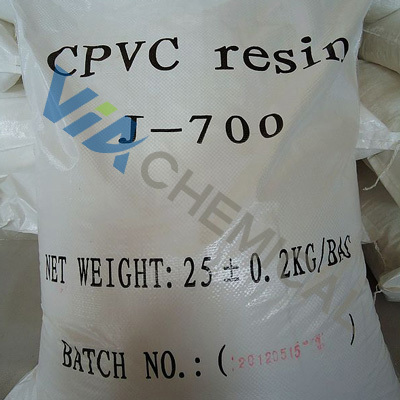 CPVC is not only resistant to chemical corrosion in room temperature but also has good acid and alkali resistance at even high temperatures, which makes it superior to PVC and other resin and be able to a good replacement for traditional materials in terms of handling corrosive substances. Tensile strength is 50% higher than that of PVC, and increases by one time than that of PP and ABS resin. CPVC shows excellent flame resistance and good self-extinguishing characteristic. The heat conductivity of CPVC is as low as 0.105 KW/ (mk). The heat-resistant pipes made of CPVC could minimize heat loss. Thus, heat-insulating layers are on longer needed. 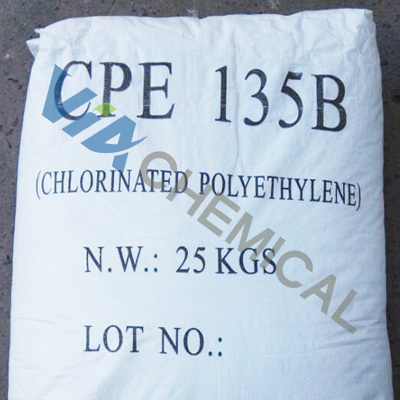 Polyolefin materials, such as PP/PE, decompose upon contact with residual chlorine in water. 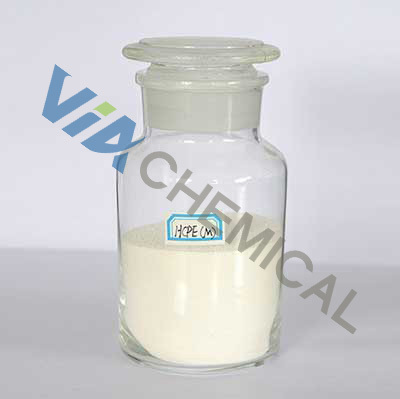 However, CPVC resists residual chlorine and no crack and leak can be observed. Bacteria cannot easily breed due to CPVC pipes resist residual chlorine in water and its inner wall is smooth. 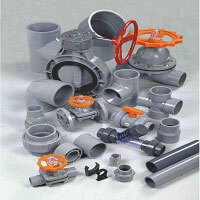 Manufacturing CPVC-finished products is the same with PVC products, which is easy and convenient. 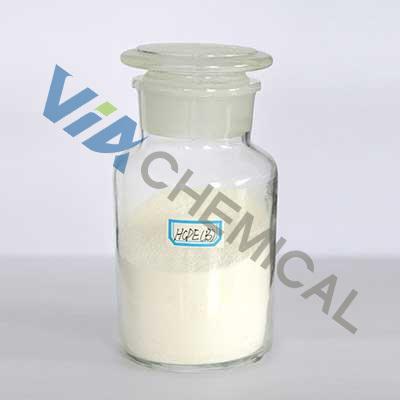 CPVC meets the requirements for chemical equipment in terms of mechanical strength and resistant to chemical corrosion, thus can be made into a variety of pipes, fittings, valves, and plates used in chemical industries. 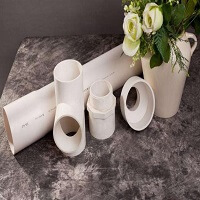 CPVC is heat and corrosion-resistant and resists residual chlorine in water as well; thus, it can be made into pipes and fittings used for hot and warm water supply and drainage system in various industries. 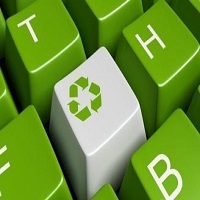 CPVC shows excellent flame retardancy and is thus the preferred choice while producing plastic products with strict fire requirements, including electronic product packaging, architecture decoration, and in transportation facilities. 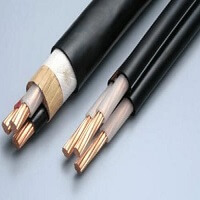 CPVC can be made into High-voltage electrical power cable conduit due to its excellent heat resistance and insulation characteristic. 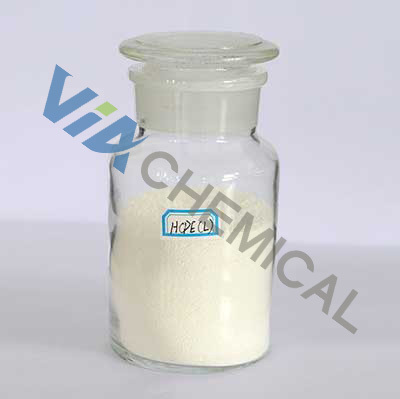 CPVC is used for thermoplastics to improve its properties, such as heat resistance and flame retardation. 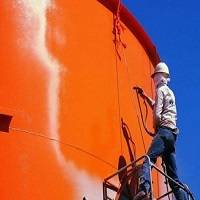 CPVC can be used to produce anti Corrosive painting and adhesives. 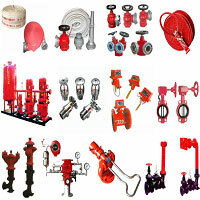 Also it can be used as heat preservation materials for hot water pipes and steam pipes. 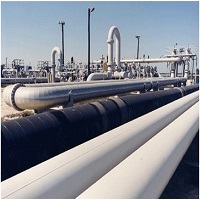 CPVC pipe has only 1/200 thermal conductivity of that of steel pipe and possesses small friction coefficient, which makes it good at thermal insulation and improving oil flow efficiency when gathering and transferring crude oil. 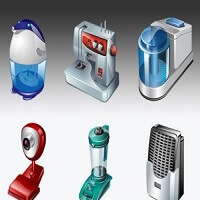 Through injection, extrusion, rolling, and pressing, CPVC/PVC alloys can be made into molding pieces, trays, electric appliance parts and shells, commercial machine casings, tubing, communication equipment, and auto parts, among others. CPVC can be used to fabricate fishing nets, work clothes, industrial filter clothes, non-inflammable parachutes, and submarine cable jackets after fabric snagging. 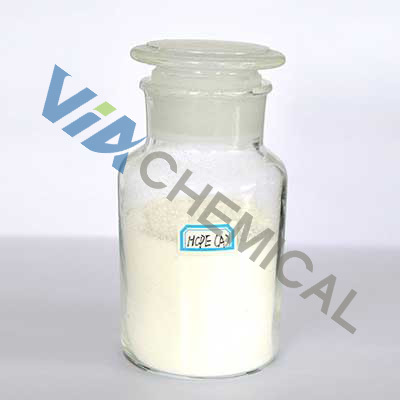 VIA Chemical CPVC product adopts polyethylene bags for internal use and polypropylene bags for external use with a net weight of 25 ± 0.2 kg per bag. 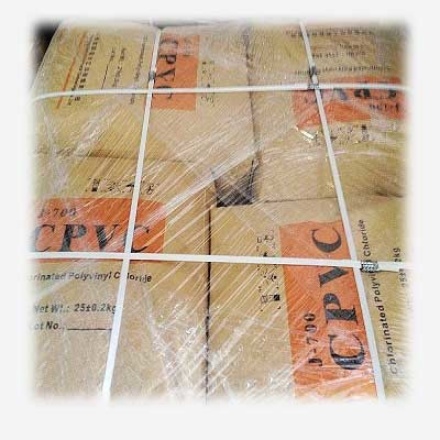 CPVC resin must be stored in a dry and ventilated warehouse with a stack height not exceeding 10 bags. Solarization and damp environments should be avoided and strict precautions should be taken again stress. 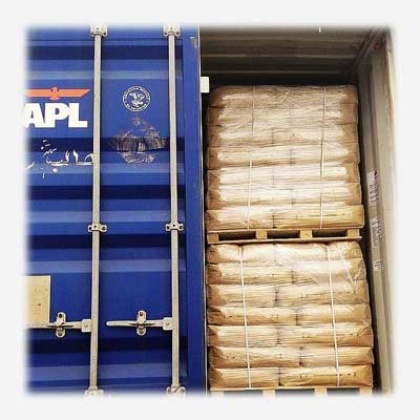 CPVC is not considered a dangerous cargo.